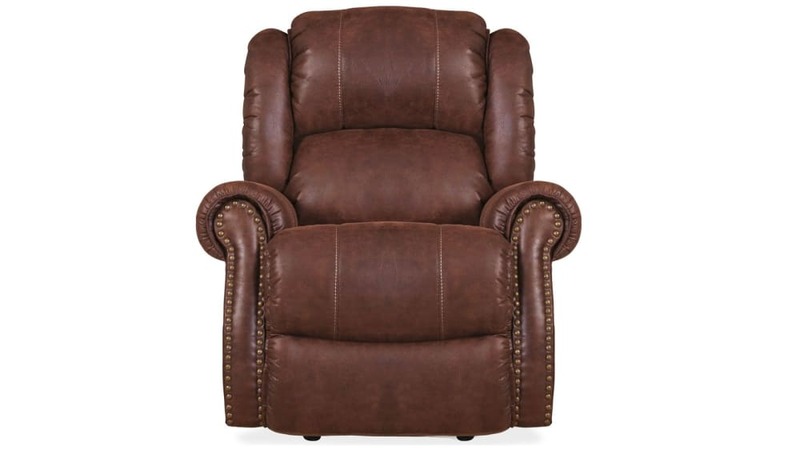 Not only is this recliner incredibly comfortable, but is has great style, too! The beautiful upholstery looks like leather, but offers the soft feeling of fabric to give you the best of both worlds. Individually applied large brass nailhead trim accents the front of the armrests. 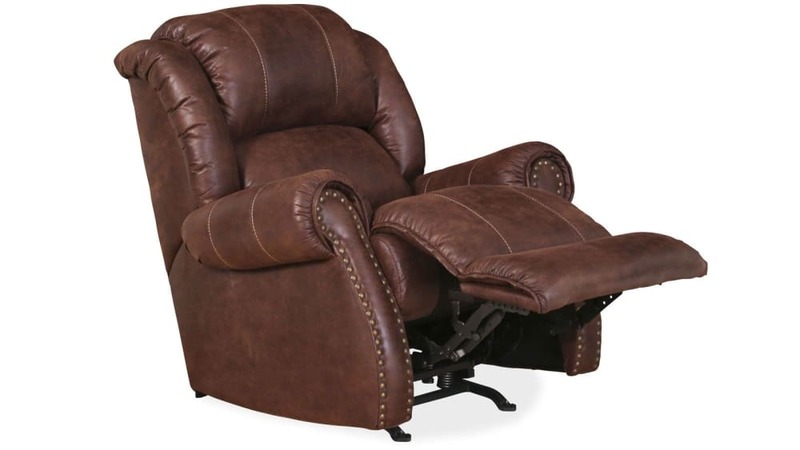 The easy-to-use power reclining mechanism lets you relax and forget your cares. A fully upholstered footrest ensures your comfort never ends. Dark brown espresso microfiber is soft and easy to care for. Bring character and charm into the living room. With its espresso-colored upholstery and brass nailhead trim, this recliner has a rustic design that will look great in your home. 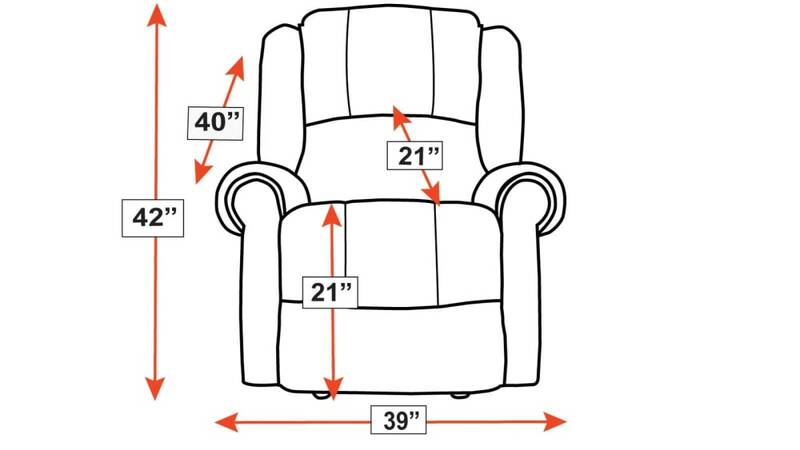 Relax in a recliner that brings both comfort and style into your space. Gallery Furniture's same-day delivery helps you design a new-and-improved living room TODAY.